Do you have an adult child, parent or spouse who lacks either physical or mental capacity to look after their financial and legal affairs, or perhaps their health and lifestyle? 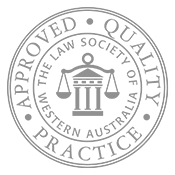 Circumstances in which an application to the State Administrative Tribunal (WA) (SAT) for the appointment of an administrator and or guardian may be appropriate. Even if a caretaker is available to assist and make the necessary decisions on behalf of a person who lacks capacity, the law does not permit another person to make legal, financial, and personal decisions on the person’s behalf, unless an administrator and guardian has been appointed by the State Administrative Tribunal (or unless the person, when they had capacity, signed formal documents called ‘Enduring Power of Attorney’ (EPA) and ‘Enduring Power of Guardianship’ (EPG)). In the absence of written authority or a formal appointment by SAT, it will be difficult for the caretaker to efficiently deal with service providers and governmental agencies, as they won’t have proof of any legal authority to deal with the incapacitated person’s affairs. Looking after another person’s daily affairs can be stressful enough, not to mention the added frustration of not being able to do so efficiently due to service providers such as banks, superannuation funds and ATO giving you a hard time as you lack the requisite authority to deal with the person’s affairs. Once a person lacks the capacity to make financial or personal decisions, they are no longer able to grant an EPA or EPG to a friend or relative. In this situation the avenue of an application to SAT is the only recourse to cure the problem. There are certain requirements which SAT must be satisfied with before it will consent to the appointment of any particular person as a guardian and administrator. HKT Legal can make the application process much easier for you by giving you limited advice if necessary so you can make the application yourself or by making the application for you and corresponding as necessary with SAT and representing you on the hearing date so that only a minimal contribution is required from you.